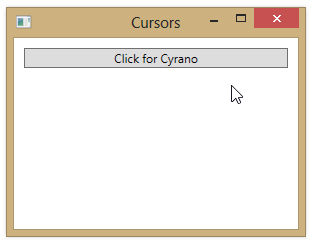 If you want to use a custom cursor in your application, you can create a .cur (static) or .ani (animated) cursor file using a cursor creation application. 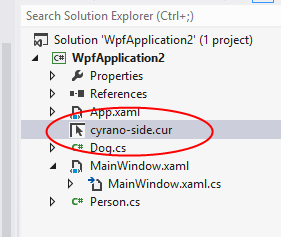 You can then embed the resulting cursor file in your application and load it at run-time. 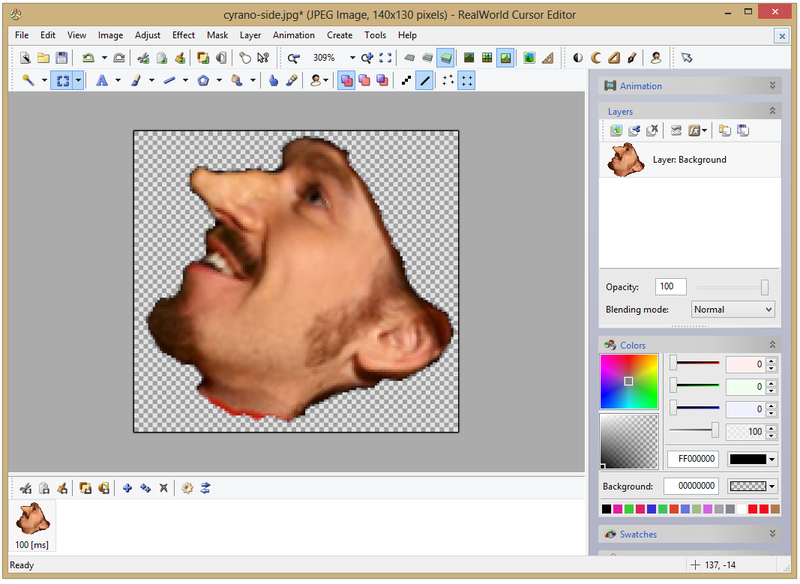 One good example of a cursor creation application is the RealWorld Cursor Editor, available as freeware. 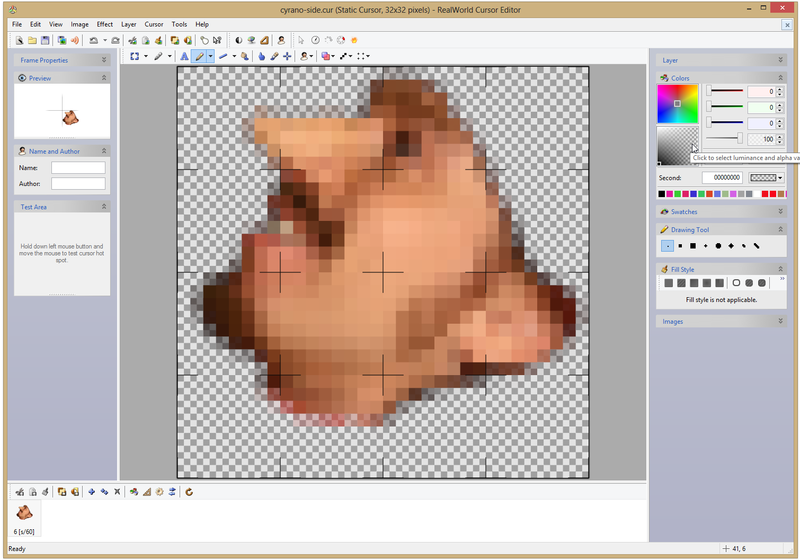 The RealWorld Editor allows creating a cursor from scratch or creating a cursor based on an image. 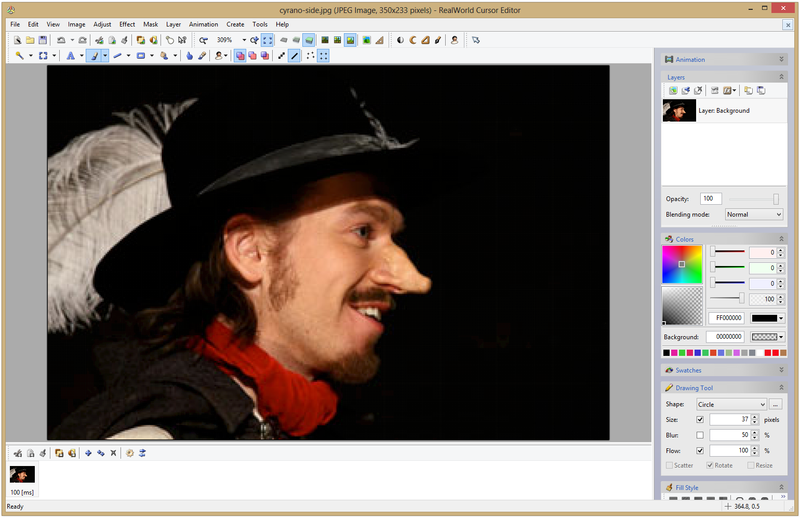 Below, we convert an image of Cyrano de Bergerac into a cursor that we can then use as the mouse pointer. We load the image into the application. We flip the image horizontally, rotate it so that the nose points up and to the left, and then erase everything but the face. 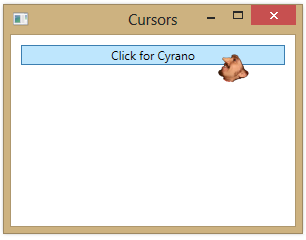 Finally, we use the Create mouse cursor command. The hotspot is set to the tip of the nose.